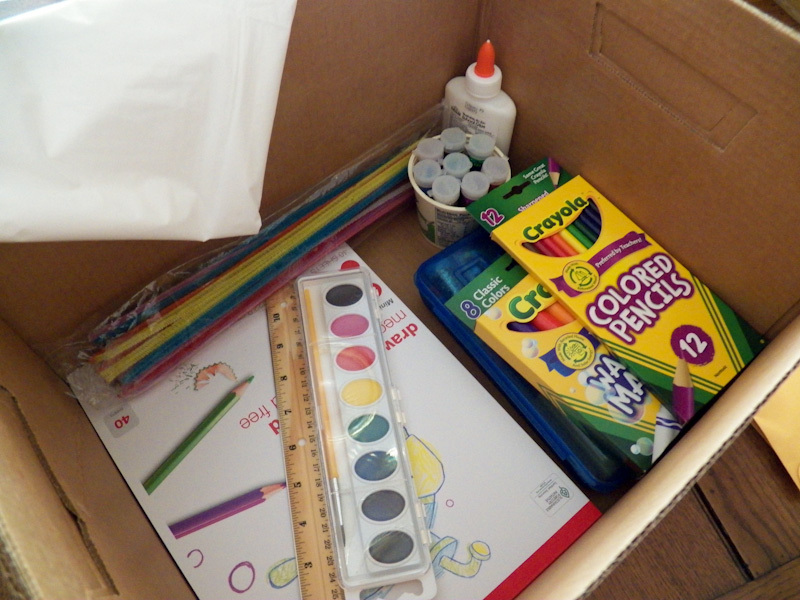 Make it easier for your children to "create" by filling a box that's just for them with craft supplies. The box is theirs to use however they wish, with no need to ask permission. The only rules are that they must lay out the small plastic table cloth before starting, and when finished, they must clean up the mess. 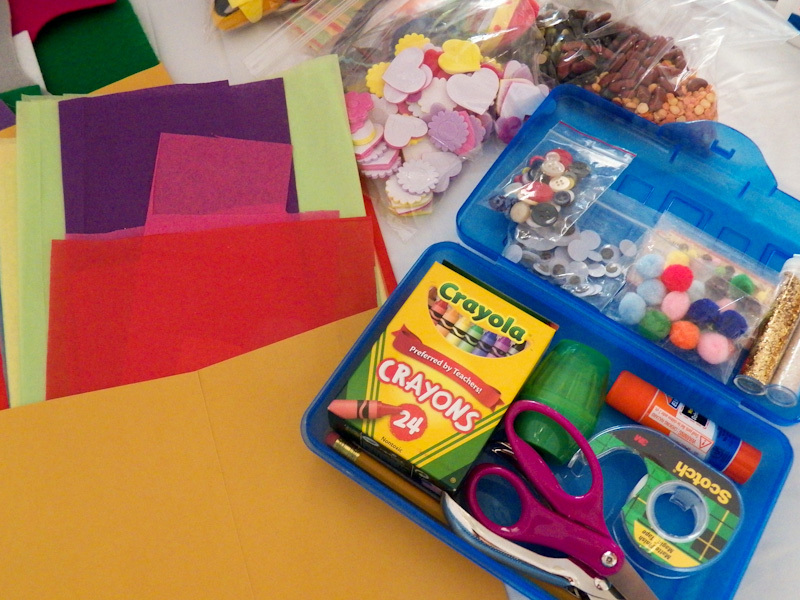 Your children will enjoy helping to make the craft box. Involve them in gathering materials for the box and in filling it. Take them on a shopping trip for the box, or let them scout around the house for recyclables that can be used in their creative endeavors. Banker's/archive box with lid, or other box at least 12" by 12" by 6"
Optional: Pencil box, large mailing envelopes, craft supplies for a specific craft like origami, spool knitting, etc. Read through the project, then gather the materials needed for making the children's craft box. A banker's box (archive box) with a removable lid works well as a craft box. These boxes (10" x 12" x 15" / about 250 x 400 x 300 mm) can be found in packs of two or more at "big box" or office supply stores for a reasonable price. Of course, any medium-sized box (at least 6" x 12" x 12") with a removable lid will work; just be sure that the construction paper will lie flat inside and that there is plenty of room for everything. 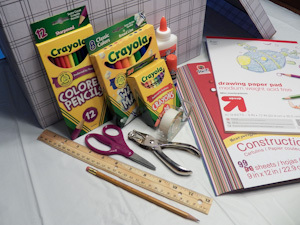 An inexpensive plastic tablecloth will pack nicely inside the box and keep everything neat and tidy during craft time. 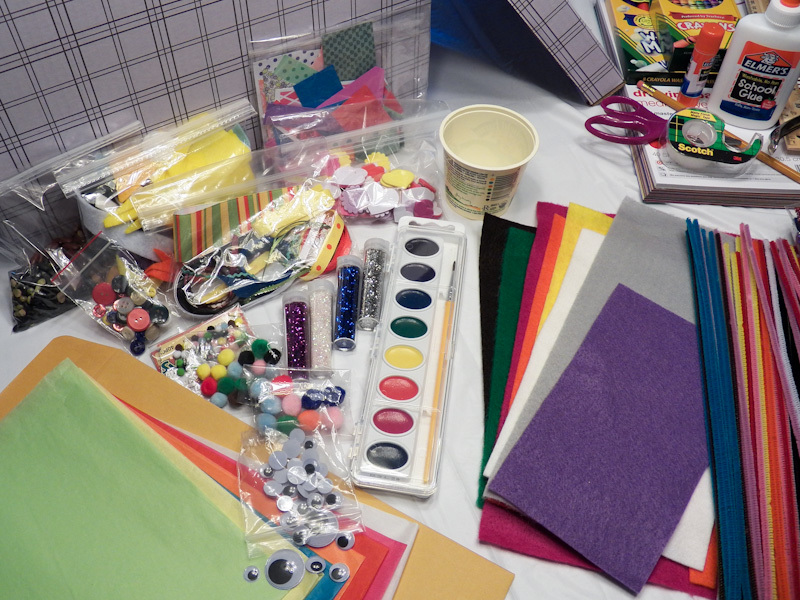 You can also purchase a yard or so of oilcloth or vinyl and use that as a crafting mat. 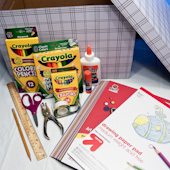 Keep in mind the age, abilities, and interests of the children when selecting supplies for the box. For example, thick crayons and markers are best for preschool children, while the supplies should be limited in number and any small items avoided. Construction paper, 12" by 9"
Sketch or doodle pad, 12" by 9"
Place the basic supplies, other than the paper and yarn, into a large zipper bag or a pencil box. Put the yarn, string, lace, ribbons, and rickrack into a plastic bag. Put the snips of paper into one baggie, or divide them by color into several bags. Put the other items into one bag, or sort them by type into a few bags. Keeping the supplies and tools organized will make the box easier to use. It will also be easy to spot when any supply is running low. 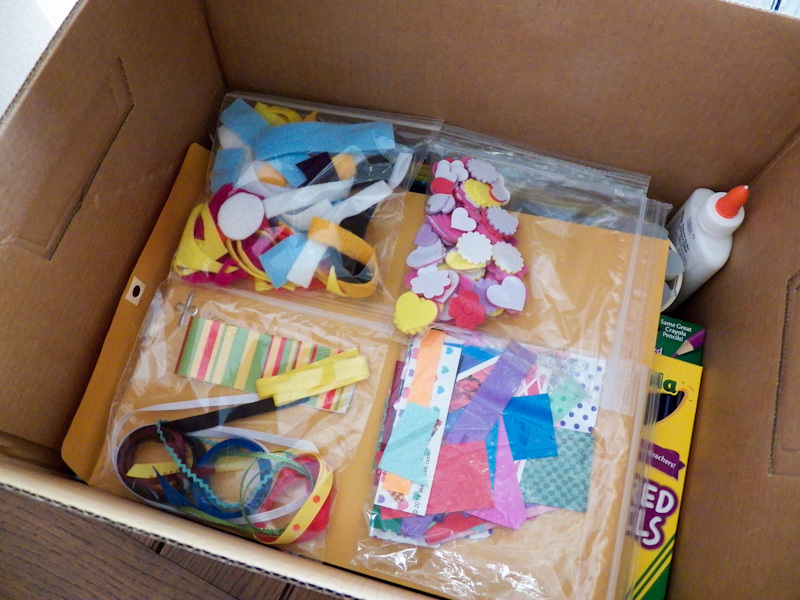 Larger items like the paper, pipe cleaners, and ruler can be left loose or placed in large mailing envelopes. Place the paper in the bottom of the box, along with the tablecloth. Next, layer in the larger items. Finally, layer in the envelopes, smaller items and all the bags of odds and ends. 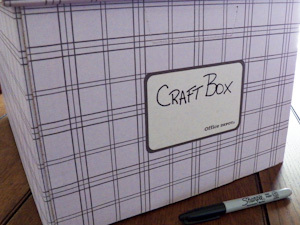 Put the lid on the box and label the outside "Craft Box"—you might add the children's names, too. That's it! 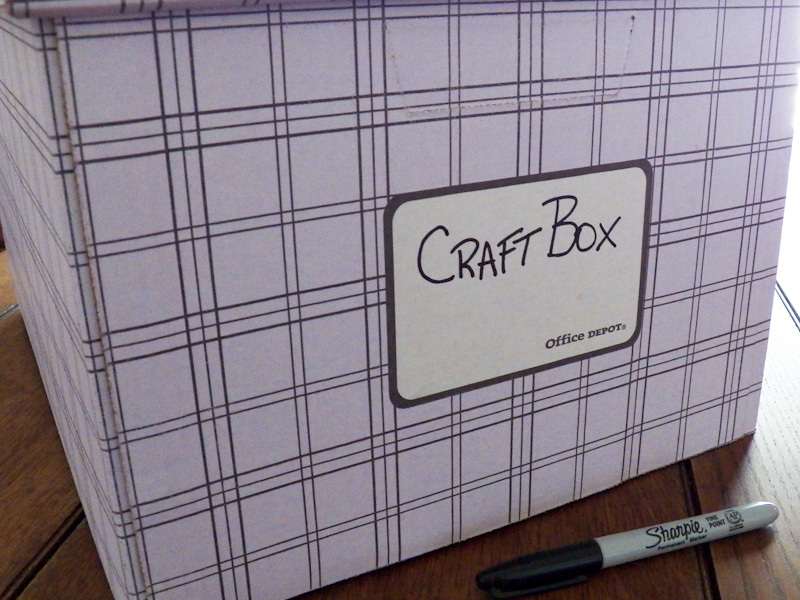 The craft box is ready to use! 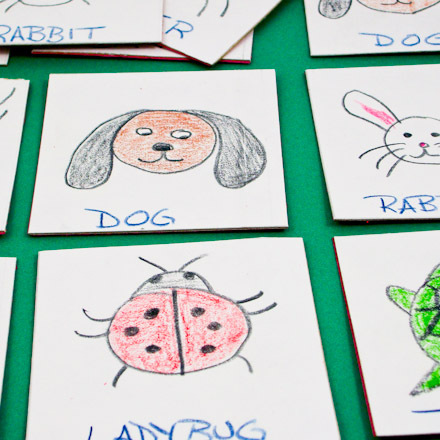 Your children can get started on their own or with these Friday Fun crafts! 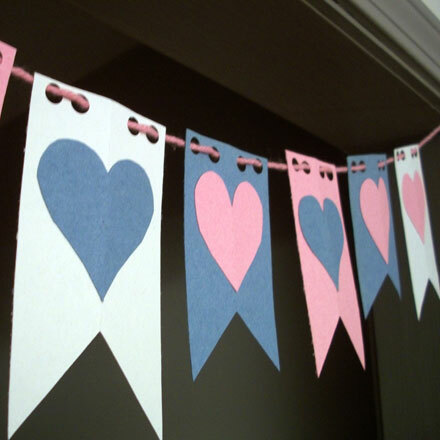 Thanks to Evelyn Q. for sharing this craft idea with Aunt Annie's Craft Exchange in 1997. Evelyn shared, "My boys get to display their art on the refrigerator for one week, and then it comes down to be saved in a large box. From when they first started making things, they have gotten real creative. Since this is their own supply box, they keep it quite orderly. When I first gave them the box, I explained it would be easier that way." 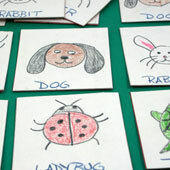 Tip: With the addition of cardboard from an empty cereal box to the craft box, your child can make playing cards for the Memory Game. 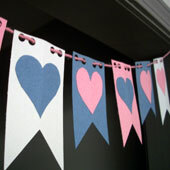 Tip: Many of the Valentine's Day Crafts, like the Valentine Flag Banner, can be made with basic craft box supplies. 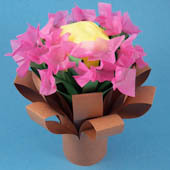 Tip: Aunt Annie's Simple Folded Bouquet can be made with basic craft box supplies plus tissue paper.